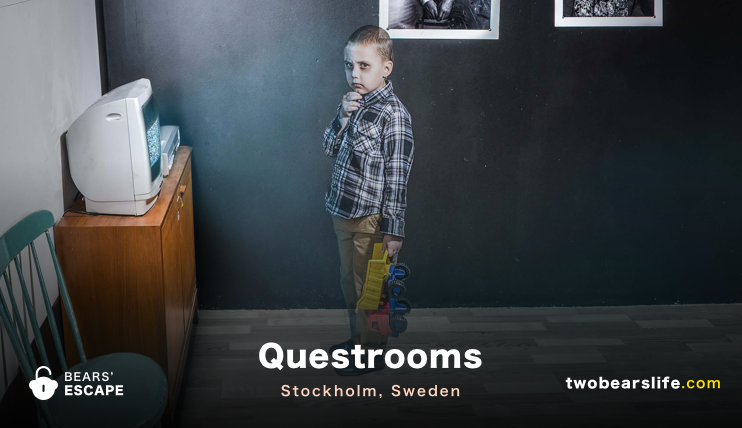 Questrooms has two locations in Stockholm, so be sure to check out the right one before planning your route. The Hautned Photolab is located at Eriksgatan 33A, which is close to the subway station Fridhemsplan. It was a quick ride and it did not take us long to find the entrance. 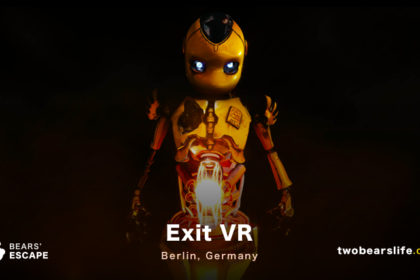 Like with most Escape Room companies in Stockholm, expect a street entrance with a descent to the basement level for the actual Escape Room. We were welcomed by our host and were able to take a quick rest on a comfy sofa while also going to the restroom before the game. Another group was finishing up the Haunted Photolab and they sounded like they had a lot of fun. We were getting really curious. Once the group finished and left, we got a detailed briefing about the rules of the room by our host. She was very friendly and even had picture charts in case of language problems – which we didn’t experience. 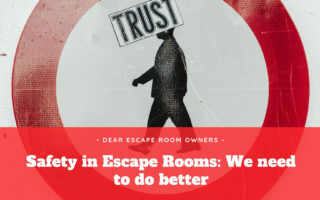 During the introduction, Alex got very nervous about the scare factor of the room, since we repeatedly experienced that game masters are not fully honest about the the kind of scares their rooms offer. 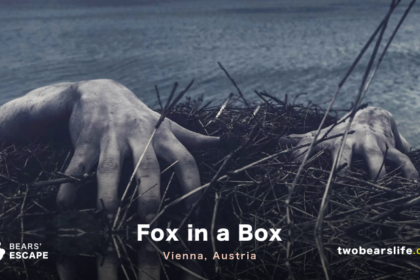 In this case, the story and the setting of the room are scary, you do not have to be afraid of actors in the room itself. Strange noises and squeaks are heard in this photolab…. Some people think there is a ghost living here. In order to get out of this creepy place you have to discover all the hidden objects, develop the photograph, tame the laser beam and show great courage! Before entering the Haunted Photolab, you are handed a video tape to watch before the game starts. Although we do appreciate the video itself, we did not understand why we had to put the tape into the recorder ourselves. Well, anyways – the video intro was a great touch and set the tone for the room nicely. The room combines simple search tasks with diverse puzzles. Some were very obvious and we knew right away what to do – others needed some extra leap of faith (or a clue by our game master). The puzzles are not linear, so it is a good room to do in a bigger group of 3 to 5. Some puzzles build up, but you can definitely to multiple tasks simultaneously to speed up your progress. Most of the tasks and puzzle have a direct connection to the setting, which was also nice. After struggling with some tasks, we barely made it out in time, but we did make it out alive and well with some seconds left on the clock. The idea of the Haunted Photolab is really cool – we have never done a setting like this before. 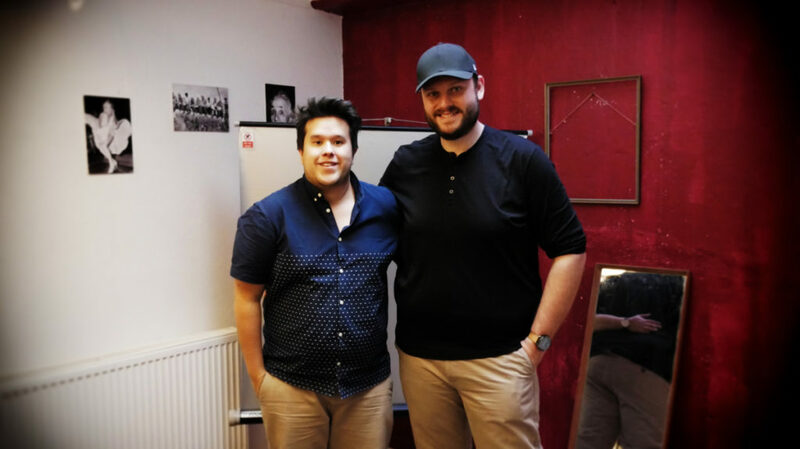 After doing so many escape rooms, we always prefer to do a theme we have not tried before and this definitely fits the bill. We did struggle with two tasks in the room though, which cost us some significant time. One was absolutely our own fault, since we failed to follow simple logic and did not only once but twice fail to fully unwrap one of the game items. This led to the (disposable) item to be broken – thankfully, the game master had a solution for that (i guess we were not the first team to run into this problem). Never the less, I fully understand them not removing this particular task from the game, since it would be a great experience if one would not totally screw up the task like we did. The second one involved some technology and the tricky light situation in the room did not let us complete the task. We asked the game master multiple times for help, but it took a very long time for them to realise what our problem was. It also went back to us not finding the proper light switch in the room, but we did not register we actually needed to turn on that light. Anyway – the room offered a good variety of puzzles and one or two surprises. Alex is not really big on jump scares, but the room could have offered a little bit more in terms of immersion and atmosphere. On the other hand, it is also nice to know there are rooms like this which can be enjoyed with people who do not enjoy to be scared too much. Last but not least, the clue system. If you need help, you have to knock on the door, which prompts a paper clue to be delivered into the mailbox. 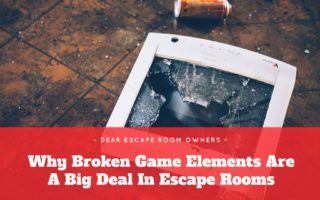 We have seen this kind of system before and we are mostly ok with it – as long as there is not a problem like the light situation where we were literally stuck and had to start semi-screaming with the gamemaster through the door. Predefined clues sadly will never hold the answer to every problem players may run into. All in all the room was enjoyable and offered some nice surprises. 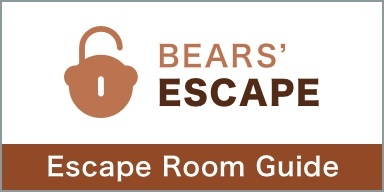 It is a good room for groups because the puzzles are not linear and the final puzzle is a fitting end to the room. For the score, keep in mind that we only played one of their rooms – and it was not their newest room. 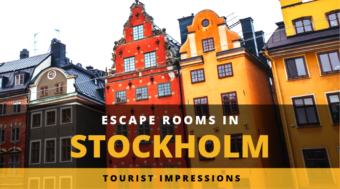 Questrooms in Stockholm has two location with a total of 4 rooms. We played one of them – the Haunted Photolab. The staff was very nice and the location is easy to reach with public transport. The Haunted Photolab is well designed for groups, since the puzzles are not linear and groups can split up to work them simultaneously. 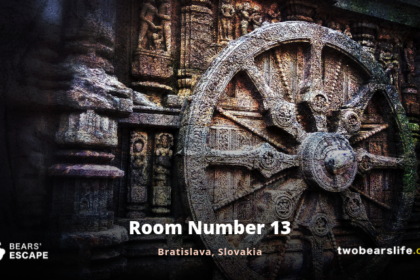 The room itself shows its age a little bit and we struggled with two puzzles – but in both cases it was – kind of – our own fault. The horror level is fairly light – if you are looking for more of a thrill, they offer a new room called the Horror Escape, which we have heard good things about. Check it out and let us know what you think about it.